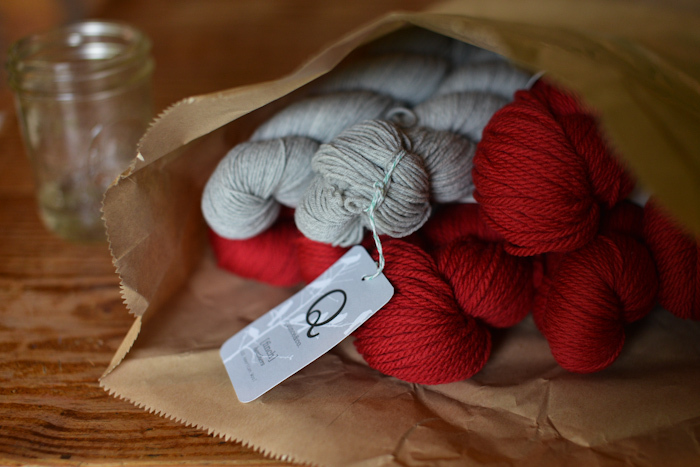 Yesterday was a good mail day: yarn arrived from Quince & Co. Inside my package there were two little gray skeins of finch that will become baby pants, and a whole lot of Osprey yarn in Winesap, chosen by Larkspur, for her new Phoebe’s Sweater. I tried to convince her to go for a neutral color this time, but she wouldn’t have it. She chose exactly which red she wanted from the swatch card, and as soon as I saw it yesterday, I knew she was absolutely right. Lark has very good taste. PS: I meant to say that your knitting is beautifully even. I love seeing it and the lovely styling. The winesap is the colour I would have chosen too. 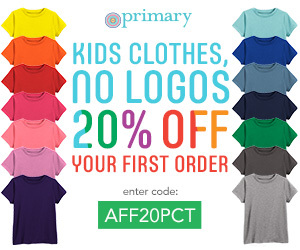 I don’t think children gravitate towards neutral colours, especially not girls. Ginny – Thank you so much for taking the time to answer my questions. This should be quite a project for me! I enjoy reading your blog, but I generally do not comment. Your life fascinates me – you do things I never had the courage to do! (I’m a grandma now!) May God bless you and your precious family! 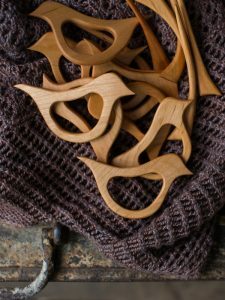 I have a knitting question for you – I hope you don’t mind. I have been knitting for many years, but it’s always been easy things with very inexpensive yarn . 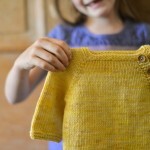 I want to make a Phoebe’s sweater for my granddaughter, and love the yarn you refer to in this post. 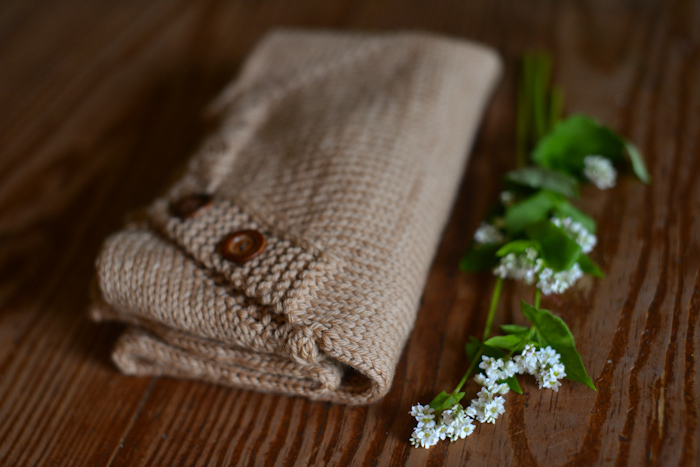 What kind of changes do you make since the pattern calls for a bulky yarn? 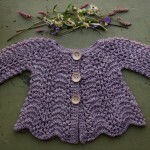 I would imagine a lighter weight yarn would affect the finished size and/or you need to use a different size needles. I would really appreciate your help with this! Thank you so much! Hi Debbi! The yarn that I bought to make the Phoebe’s Sweater knits up at 3.5 sts / inch on size US 11 needles, so other than knitting a gauge swatch to be sure about needle size, I am not planning to make any changes. I am hoping it works out! 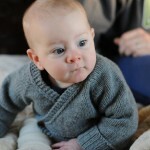 Also, a safer choice from Quince & Co. for this sweater would be the Puffin. It is a true bulky yarn. If I am not happy with my swatch in the Osprey, I will be exchanging for the Puffin yarn. oh goodness; bed rest. I wish for you the smoothest possible next two months. Your knitting is lovely, as always, and it will be a treat to see more of it for a bit. And then baby pictures! Love that little gown. It looks so snuggly! And Faith would LOVE that red yarn! I haven’t started a Sunday sweater yet. I think she may have grown out of the pattern. Again! I may have to wait for grandchildren to knit that one. The gown is really sweet. Take care and rest. I hope you get a lot of knitting done. I love the new yarn colors. What a sweet newborn gown! Rest up. The gown is perfect and precious! I’m sorry you have to rest, but only because it will drive you crazy! Enjoy the rest, please, as you’ll be very busy after your new “gift” arrives. Blessings to you today from the German/Swiss border! That gown is so adorable! I can’t even imagine a cute tiny baby in it because it will just be too sweet. That color is perfect for Larkspur! Do you need anything while you are down & out? Meals, kids taken anywhere, play date, someone to help clean the house? 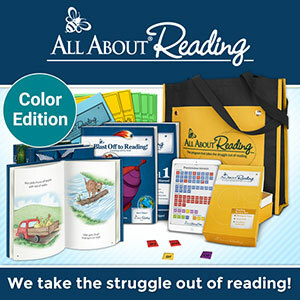 Seriously, I’m close now & I’d love to help & I know that my kids would love to play. Message me & we can talk! Love that sleep gown and the yarn is beautiful I actually really love the color. So pretty . I’m going to just keep making everything you make sense you are on a roll! The winesap is a perfect choice ~she really does have good taste, that beautiful girl of yours,. What a lovely gown! 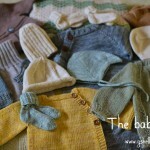 I hope one day to be able to knit something so sweet for a baby. I don’t know why I wasn’t getting your posts in my in box, but I am again, thank goodness. They bring with them a calm that I need and missed. Thank you! Will pray to St. Gerard that the rest of your pregnancy goes well and for a safe delivery. Love the gown! How sweet 🙂 and you’re right it is a great color. And definitely be careful with the pelvis thing! My sister’s fractured during her 3rd trimester and is still technically broken. Hoping the best for you. I second the chiropractor for pelvis problems in pregnancy, it made a huge difference for me in my last pregnancy! Try and find one who has a special training in pregnant woman and newborns if you can! Mine even adjusted my newborn! so gentle! The main technique is the webster technique. worth a try! no side effects! I read your blog daily but felt compelled to comment this time! good luck! Your baby gown is lovely! I love seeing the yarn you pick out. Maybe someday you could do a post on how you select yarn for what projects, and caring for handknit projects long-term? If I lived nearby, I’d come clean your house! Take care of yourself, Ginny. The gown is darling! 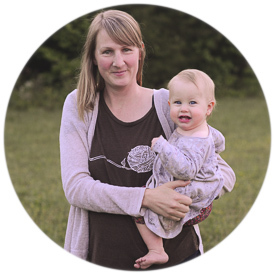 If you are homeopathically inclined…..I have quite painful pelvis issues during pregnancy and with my last two pregnancies pelvic bone pain caused me to have to rest most of the time. My last midwife recommended hyoscyamus niger 200ch and her directions for taking were to put three in about 1/2 cup of water and sipping for two hours. I cannot tell you what a difference it made. I have already dug out the remedy at the waiting for this pregnancy! I hope you get some great rest (and looks like there is a little knitting to be done). Have you thought about a chiropractor? I always see one while pregnant and it makes a world of difference! I see a Gonstead style chiropractor . Once again beautiful photos! Here’s wishing you health, peace and happiness over the coming weeks. so pretty! prayers for you all and wishing you moments of much rest. 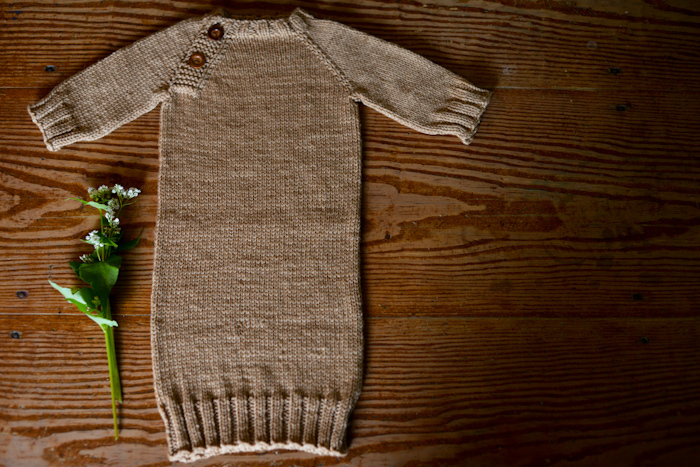 Such a simple, natural, perfect newborn gown, Ginny. I love that gown! So simple and classic and yet beautiful. Good job. Goodness Ginny! You must be the worlds fastest knitter 🙂 Love the baby gown and knitting is a great way to pass these next two months. 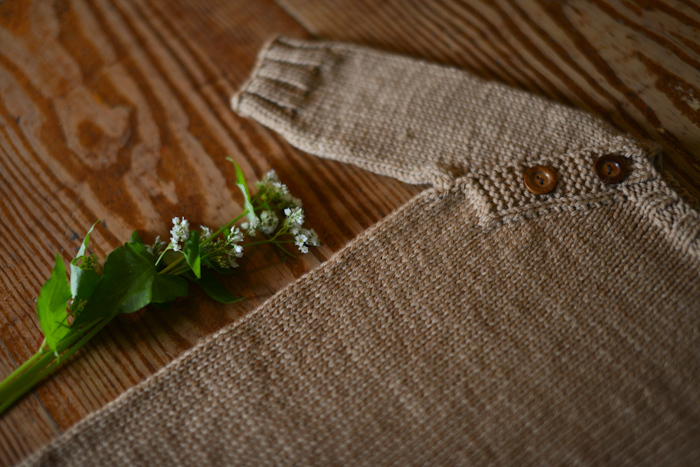 When I am making a gift for babies or older people I often say the Hail Mary as I knit that way there are numerous prayers woven into the garment. You will be added to our rosary list! Stay put, take care of you and your little one. The house will still be there when you are able to get it back together again. It is also a great time for our other children to learn more patience and charity by having to pitch in more than they usually do. Ginny, I know you guys will make it through this <3 I adore the baby gown and LOVE the color. 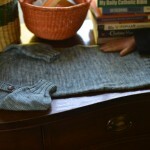 Would you believe that my girls' Phoebe sweaters still fit from 2 Christmases ago?! That gown is so sweet, Ginny. It will be even sweeter with a tiny brand new human in it. 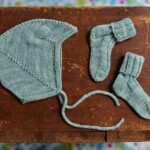 I am in awe of your knitting productivity, I bet having a fall/winter baby helps inspire you too….. he will be so warm and cozy wrapped in his mama’s love! What loveliness! And the colour is gorgeous, and you died it yourself, wow! 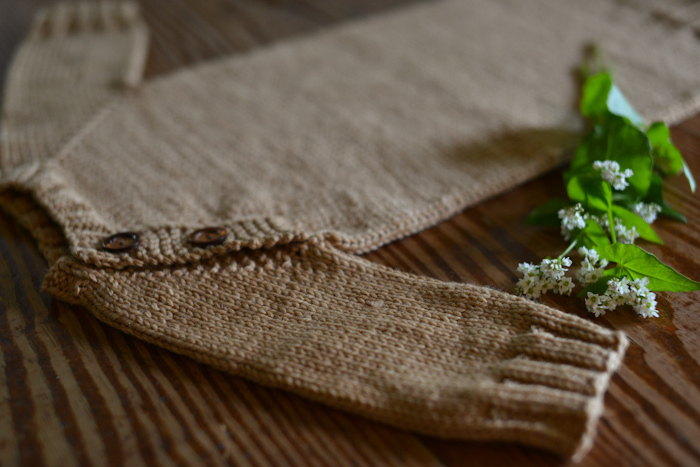 Using your down time knitting is a lovely plan too. Just enjoy it! The gown is wonderful, and I agree Lark has excellent taste. I know that sitting down is hard with a family and home to take care of. I’ll pray for you. That little gown is so beautiful in its simplicity and functionality. I love it! The quince & co yarn is beautiful too. I was on bed rest for 10 weeks with my first. It was no picnic, but I read and crocheted and caught up on nearly every movie I ever wanted to see. 😉 Your attitude will help immensely. 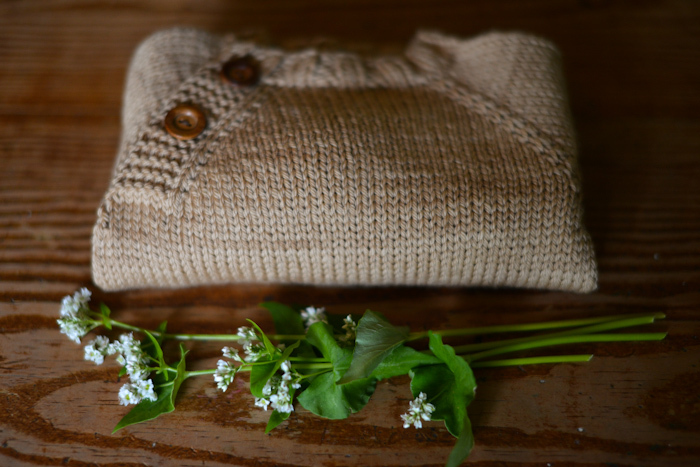 What a great little knit! Lovely work, Ginny! That little gown is adorable. I love the color. A few months of resting and knitting sound like the perfect medicine to me 🙂 That new yarn is beautiful too.